Global activism group Avaaz has launched a design contest to find the artwork that will be used to promote an upcoming climate change march in New York. The People’s Climate March, sponsored by Avaaz members and “hundreds of local and national civil society organizations” including 350.org, will take place on Sept. 21, around the time of “an emergency summit of world leaders in New York to discuss a unified government response to climate change,” Avaaz said in a statement. In addition to the march in New York—which the group hopes will be the largest of its kind—there will be concurrent satellite events in other cities, such as London, Berlin, New Delhi and Rio de Janeiro. 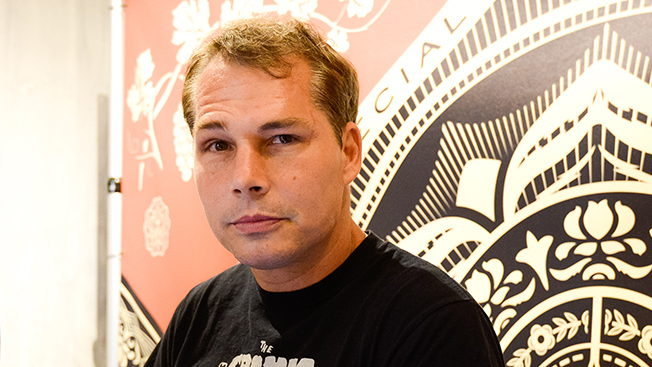 The panel of judges includes luminaries from the art world such as Shepard Fairey, Barbara Kruger and Moby. Other judges include Adam Mordecai, an editor-at-large at Upworthy.com; Nancy Spector, the deputy director of New York’s Guggenheim art museum; and Carol Wells, Adweek's design director. In addition to having their art used as part of the subway campaign, the winner of the contest will receive travel and lodging for the Sept. 21 march and a cash prize of $10,000.